The American Association of State Highway and Transportation Officials welcomed three new fellows to its engineering department at the group’s Washington D.C. headquarters. 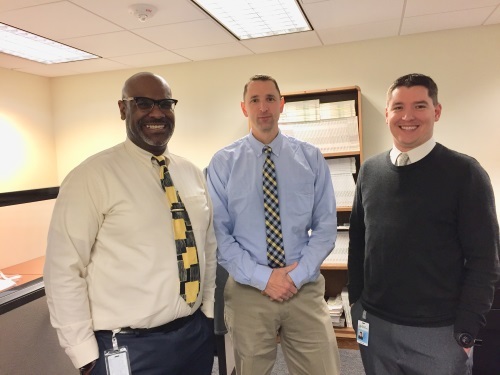 The three will each spend a year working on a variety of highway engineering, environmental, and policy issues for AASHTO. Marlon Spinks is a 17-year veteran of the Michigan DOT. He loves solving problems and the transportation industry provides him an opportunity to put his problem-solving skills to work on a daily basis. He holds a Bachelor of Science degree in Civil Engineering from Southern Illinois University at Carbondale. Spinks noted that though he recently moved into the construction field, he has long experience in design, project management, and maintenance contracts, as well as working with city and county government leaders. Spinks is also a self-described “die-hard” Chicago Bears fan. He holds a Bachelor of Science degree in Integrated Engineering from Southern Utah University. Chris was nominated for the Transportation Vanguard Award in 2018 and was named the UDOT Utah Region Four Engineer of the Year as well. Chris has experience working in pre-construction, construction, and materials, as well as coordination with local governments. Chris has experience working on large projects in Utah, including reconstruction of Cross Hollow Road and the reconfiguration of its interchange with I-15 interchange to a diverging diamond interchange in 2014. More recently, Chris worked on an expansion project for State Route 18 through St. George, Utah, widening that road from five lanes to seven lanes.